Bat-friendly tequila wrests one species from the brink of extinction. The blue agave plant is exclusively pollinated by the lesser long nosed bat but as the nectar (the key ingredient in tequila) content is at its highest just before blossoming, farmers tended to harvest the plants before they flowered and relied on cloning to restock their fields. 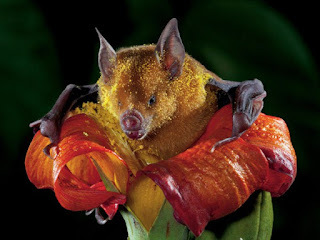 A joint US-Mexican initiative persuaded producers (jimadores) to set aside parts of their fields all allow some of the agave to reach maturity and bloom, thus feeding the bats, whose numbers are very robust after three decades of conservation, and reaping the benefits of cross-pollination for the long-term resilience of their crops.